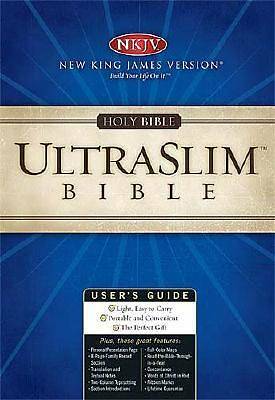 B B B B Discover a classic trio - the New King James Version, the new UltraSlim? style and Nelson's premium bonded leather. Big study Bibles are fine for home and office use, but people on the move need the UltraSlim? -- the New King James Bible that goes anywhere you go with style!